This morning I woke up to a lovely email from Apple regarding one of our recent posts. The email goes on to mention the said copyrights and how GeekSays has apparently violated apples corporate laws and patents by posting the below image and claiming it to be the new iPhone 6 rear shell. The confirmed iPhone 6 rear image as posted originally here on GeekSays by our contributor Keelan Balderson. The image was taken by Russian engineers Feld & Volk and it would be interesting to know if apple has emailed them to remove any claims of the above image or if we’re just special enough to get apples attention. 1. 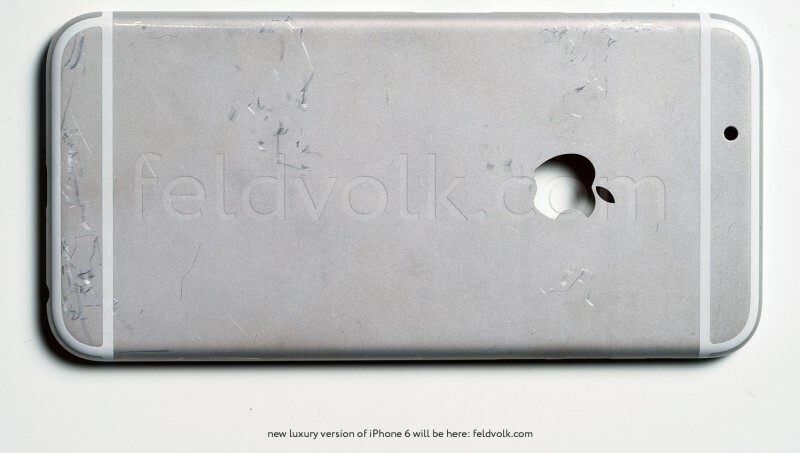 The above image is most likely going to be similar if not identical to the final release of the iPhone 6 rear shell. 2. Based on the above leaked image, the iPhone 6 mass production is in full swing and will be released this fall. Oh and in case you’re wondering the original post has now been edited and all claims were replaced with speculation and free though not facts! Only one hole for the camera and flash? Something tells me that isn’t what the world will see when the iPhone 6 is finally revealed. Could likely be a prototype to the near thing, with more than one hole presumably.